Sound Off: Dating Your Brother-In-Law? Would you marry the brother of your husband that died? How soon is too soon to move on after his passing? Should you limit your search for love because it seems too close for comfort? Is it really disgusting to date within a family? All of these questions popped into my mind after reading on Facebook that Hallie Biden, widow of Joe Biden’s son Beau, is allegedly dating her brother-in-law, Hunter. It scares me to know that the color of my skin could be the death of me here in America. What’s even scarier is the justice system that does nothing to protect my rights or attempt to give closure to my family. I am American. I was born and raised here, New Jersey to be exact. I am 24 years old and it scares me to see black men and women, young and old, being shot and killed. The scariest of all, no convictions. Its not just one shot that rings off. Black people are being shot nearly a dozen times. Is this what society has come to? Is this what has to be on the news every other day. I shouldn’t have to fear for my boyfriend or my brother, hell even my father. I shouldn’t have to fear for my own life. I haven’t done a Sound Off in quite some time, but I don’t want this series to be ignored on the blog. The Sound Off series is all about a wide range of issues I want to address and spark conversation. Warning: These are my views and I would love to hear yours in the comments below. This is not censored or filtered so if it that’s what you’re into, this series isn’t for you. Christmas has changed so much for me and my family over the years. When I was younger I was the typical child that enjoyed waking up in the morning and opening all my toys. Now as I’ve gotten older I’m more into sentimental gifts and spending time with my family. Christmas has never been about gifts, but in this society Christmas has turned into a manmade holiday. It’s about gifts galore and while gifts are nice the real meaning has been forgotten. Looking back on Christmas past I’ve always wanted to do the infamous YouTube Christmas Tag so, let’s get to it. 1. Do you like to stay in your PJs or dress up for Christmas? Being that my family celebrates on Christmas Eve, I’m Team PJs for Christmas. 2. If you could buy one person a present this year who would it be? Definitely my grandmother. I made her a calendar this year filled with old and new family photos. For the past few years Christmas Eve. 4. Have you ever built a gingerbread house? Yup, a few years ago. Not the best work. Never ate it, but then again, aren’t they more for decorative purposes? 5. What do you like to do on your Christmas break? I’m not in undergrad anymore so I don’t have a Christmas break. When I did I liked having time to myself whether it be occasionally hanging with friends or binge watching TV. Oh, and of course, catching up on sleep. 6. Favorite meal or treat? White hot chocolate with freshly baked chocolate chip cookies. Any version of A Christmas Carol. 8. Candy Canes or Gingerbread Men? 9. Have you made a snowman? Yup. Lots of snow here in the tri-state area, although my snowman have never been real circles. 10. Which do you like better, Christmas Eve or Christmas Day? The older I get I definitely enjoy Christmas Eve more. Christmas Day has turned into a day of napping and watching movies, which is fine, but Christmas Eve is filled with lots of family, great food, and laughs. 11. White lights or colored lights? I added to my planner and then took an epic Christmas nap. Now I plan to spend the rest of my evening with my boyfriend with hot cocoa and Christmas movies. 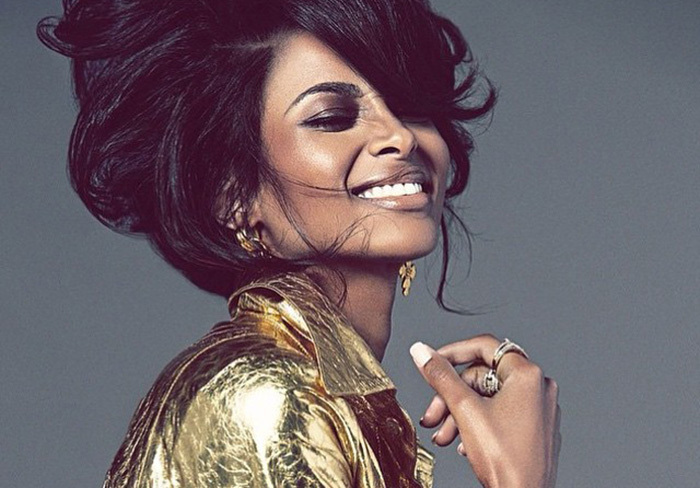 Ciara is back with a new single titled ‘Dance Like We’re Making Love’ off her forthcoming sixth studio album, Jackie. Based off the first single, ‘I Bet,’ I expect a few more heart wrenching tracks after her public breakup with ex-fiance and baby father, Future. As for a follow-up single to that track this one is nothing but good vibes. Vocally she sounds great as she’s not straining to reach any high notes. There’s been times when she’s sang certain notes and it was a raspy high pitch, but the alto sound works well for her. I really love how she sounds on this track and the hook is amazing. A hook is what makes the song catchy and is likely what you’ll likely remember as a listener. For me I can’t get the hook out of my head. It’s simple, but the way she sings it and stretches out the word “love” adds to the catchiness of it. The music was not overpowering and again I can’t stress how good of a vibe it was. This is definitely a track that’s on my current rotation and a sure favorite. There’s not many current songs that I can listen to on rotation, but this one is amazing. The video for this is what I’m looking most forward to. She could do the story line vibe or keep the simple silhouette and dance around. Either way, I’m excited to see it. Kudos to Ciara on this one. I hope it makes its way to the airwaves sooner rather than later. I’m looking forward to Ciara’s upcoming album as opposed to her last self-titled effort. The problem with that album was that ‘Body Party’ had put such high standards on the project along with her public relationship to Future that anything released after that didn’t match that buzz. Her relationship really overshadowed her album, but her she is with another buzz worthy single, a breakup that can lead to great music, and a beautiful baby boy. Her album drops this Monday (5/4) so I can’t wait to hear what’s next.